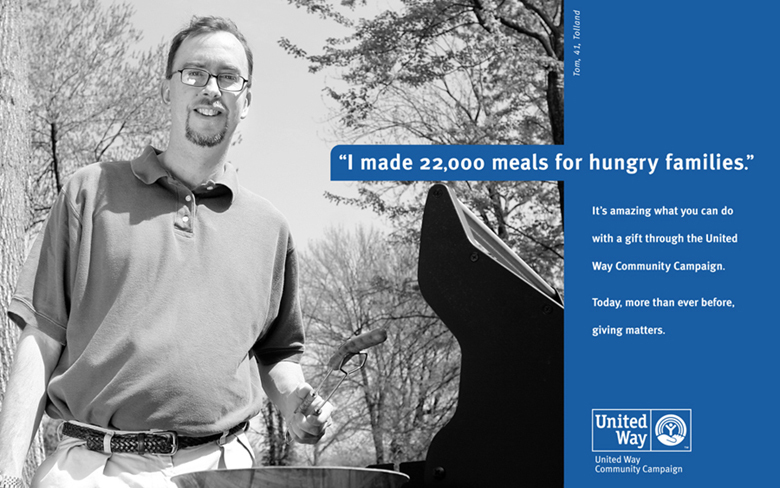 In garnering support for its causes, the United Way had touted their mantra, “Giving Matters.” To increase the strategy's effectiveness, we added a stronger emotional quotient to the message – changing it from a call for dollars to a focus on how giving truly touches the lives of those in need and those who help. We highlighted ambassadors of the United Way that gave their time to make a difference and showed how public support empowers these heroes to do great things in the community. Essentially, we put a face on giving. It's not a number. It's people helping other people.